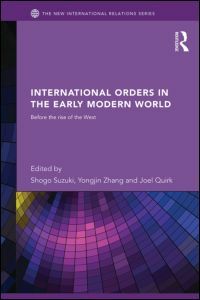 This book examines the historical interactions of the West and non-Western world, and investigates whether or not the exclusive adoption of Western-oriented ‘international norms’ is the prerequisite for the construction of international order. 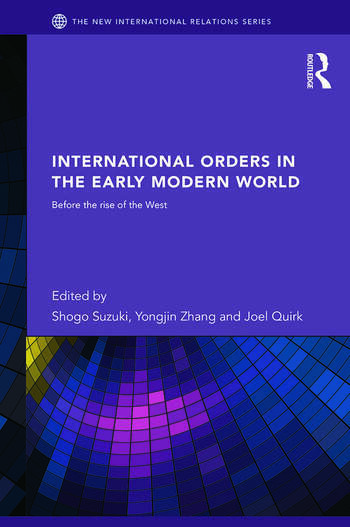 This book sets out to challenge the Eurocentric foundations of modern International Relations scholarship by examining international relations in the early modern era, when European primacy had yet to develop in many parts of the globe. Through a series of regional case studies on East Asia, the Middle East, Africa and Latin America, and Russia written by leading specialists of their field, this book explores patterns of cross-cultural exchange and civilizational encounters, placing particular emphasis upon historical contexts. The chapters of this book document and analyse a series of regional international orders that were primarily defined by local interests, agendas and institutions, with European interlopers often playing a secondary role. These perspectives emphasize the central role of non-European agency in shaping global history, and stand in stark contrast to conventional narratives revolving around the ‘Rise of the West’, which tend to be based upon a stylized contrast between a dynamic ‘West’ and a passive and static ‘East’. Focusing on a crucial period of global history that has been neglected in the field of International Relations, International Orders in the Early Modern World will be interest to students and scholars of international relations, international relations theory, international history, early modern history and sociology. "An outstanding volume of non-Eurocentric historical-sociological essays that advances an extremely powerful critique of the English School’s commitment to what I call the ‘Eurocentric big bang theory of world politics’ – that the big bang of modernity exploded autonomously within Europe and that thereafter European ‘civilization’ expanded outwards in a non-problematic way to remake the world in its own image – by deploying the antidote of bringing Eastern agency back into the story of the long-term development of world politics." - John M. Hobson, Professor of Politics and International Relations, University of Sheffield, UK. Shogo Suzuki is Senior Lecturer in the Department of Politics at University of Manchester, UK. Yongjin Zhang is Professor of International Politics at Bristol University, UK. Joel Quirk is Senior Lecturer in the Department of Political Studies at the University of the Witwatersrand, South Africa.